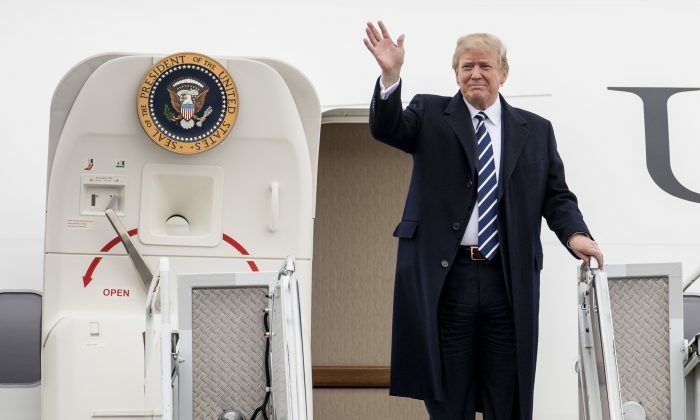 On the heels of a well-received State of the Union address, President Donald Trump’s approval rating popped to 49 percent on Friday, Feb. 2, according to a survey of likely voters by Rasmussen. Trump has not received a higher approval rating since mid-June last year. In predicting Trump’s 2016 victory, Rasmussen came in second in a list of 11 polls monitored by Real Clear Politics. The IBD/TIPP Tracking poll was the only major poll to accurately predict Trump’s victory. Trump responded to the poll results in an early morning tweet on Saturday while taking a swipe at the media which ignored new rating. Trump also shared a tweet by his son Eric Trump, which shows that the approval rating for the president’s legislative agenda is up to 55 percent. That’s 13 percent higher than the results of the same Fox News poll in December. The Rasmussen poll results may notch up again on Monday since the organization takes a three-day average of the results to compile the rating. Only two days of polling took place after the State of the Union speech. Trump’s maiden State of the Union speech was widely received as a success, with 75 percent of the viewers approving of the content. According to Daily Mail, Rasmussen’s polls are different from most others because respondents are prompted to push a button to register their responses. As a result, people who don’t feel comfortable saying that they support Trump out loud are likely to feel safe doing so via a push-button response. Trump is within 1 percent of President Barack Obama’s first-year approval rating compared to the same time during Obama’s first term. Obama had a 50 percent approval rating on Feb. 2, 2010. Obama rating then took a slide, dropping to 44 percent on Feb. 6. Compared to Trump, Obama enjoyed overwhelmingly positive media coverage. Trump, meanwhile, earned his approval rating despite mainstream media waging war on him with an onslaught of negative reports. The Pew Research Center found that only 5 percent of reports in major media outlets were positive toward the president. A separate study by the Media Research Center found that ABC, CBS, and NBC covered Trump negatively 90 percent of the time.